Music NL Export Readiness Training Pitching Workshop October 30th! Music Newfoundland and Labrador is proud to offer its export-ready musicians, managers and company representatives an advanced Export Readiness Training Pitching Workshop on Saturday, October 30th held at the Delta St. John’s (Salon G) from 10:30 am – 5:30 pm. Learn the components to strengthen your personal communication styles and adapt pitches for conversational, one-on-one business meetings. Participants will take part in an interactive, two-hour session focusing on the elements essential to conducting an effective business meeting through observing live, one-on-one pitch conversations in action. Guest Speakers: Shelley Nordstrom (ECMA Export Manager, Halifax, NS), Val Denn (Val Denn Agency, TX), Jonny Stevens (Halifax Pop Explosion, Halifax, NS). “I would like to thank you for the wealth of knowledge you provided during the export readiness training workshop. I feel very enlightened and excited to discover another avenue to direct my music. I took some great notes and the insight and materials provided will better prepare me for one-on-one meetings in the future”. Pre-registration is required $25 and includes a light lunch. To register, contact MusicNL at (709) 754-2574 (www.musicnl.ca). The Canadian Folk Music Awards (CFMAs) is pleased to announce the nominees for its 2010 awards gala. Artists from Atlantic Canada to British Columbia are contenders for the SIXTH ANNUAL CFMAs, which will be held at the Pantages Playhouse Theatre in Winnipeg on Saturday, November 20th to celebrate excellence in the Canadian folk music scene today. 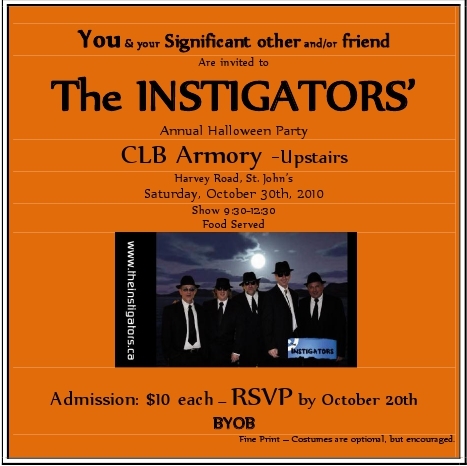 Tickets for the event are $36.75 will be available on Friday, October 8 at 10:00 am at the Winnipeg Folk Festival Music Store, 211 Bannatyne Ave.(at Albert Street), (204) 231-1377 or through www.ticketmaster.ca. For more information please visit www.folkawards.ca or www.prixfolk.ca . Created in 2005 to bring greater exposure to the treasure trove of Canadian folk music, the CFMAs, now in its sixth year, honours outstanding achievements in 19 categories. Nominated this year in a leading four categories is Toronto’s own Klezmer/East European folk band Beyond The Pale, who have earned recognition in the Instrumental Group, World Group and Ensemble of the Year awards as well as the Pushing the Boundaries Award for innovation. Following closely are a handful of artists with three nominations each: captivating Newfoundland-born songstress Amelia Curran; also from The Rock are fresh new buzz band The Once; Nova Scotia’s eclectic musical storyteller Lennie Gallant; high-energy Québecois traditionalists Le Vent Du Nord; literary Toronto songsmith Justin Rutledge (whose album producer Hawksley Workman is also nominated for The Early Widows); and Vancouver deep-gospel vocal trio, The Sojourners. Along with Newfoundlanders The Once, are the fresh new sounds from Jack Marks, Jadea Kelly, Jay Aymar and Peter Katz, all nominated for the New/Emerging Artist of the Year Award. It should also be mentioned that legendary fiddler/composer/producer and philosopher Oliver Schroer (who sadly passed away in 2008), is being honoured posthumously with a nomination in the Pushing the Boundaries category and in turn with his group Stewed Tomatoes, who are in the running for Instrumental Group of the Year. The gala awards ceremonies should prove to be an evening of stellar entertainment, hosted by CBC Radio on-air personality Shelagh Rogers and Juno Award-winning veteran entertainer Benoit Bourque. Performing at the gala is a wide-ranging set of some of Canada’s top folk acts, including Bourque himself; longtime folkie and multi-instrumentalist David Essig; blues and African guitar-slinger Madagascar Slim; multiple 2010 CFMA nominees, The Once; hot Halifax fingerpicker Don Ross; Blackie & The Rodeo Kings mainstay Stephen Fearing; dynamic vocalist and superb songwriter Annabelle Chvostek; driving acoustic bluegrass band Shearwater and seasoned activist/folksinger Heather Bishop. Please stay tuned for more information about the workshops, nominee showcase performances and special events that will run from Friday, November 19 – Sunday, November 21 as part of the CFMAs extravaganza. The mission of the Canadian Folk Music Awards is to celebrate and promote Canadian Folk Music in all its forms. Until their creation in 2005, there existed no awards to celebrate the breadth and depth of folk music in Canada. Awards such as the Junos, East Coast Music Awards or the Western Canada Music Awards include a few categories that apply to folk and roots music, but without as broad a view of the genre. The judging process is similar to that of the two-stage elimination model used by the Junos via a randomly selected jury drawn from the folk music community. Les Tireux d’Roches – Cé qu’essé ? 2010 Wreckhouse International Jazz and Blues Festival Performer Matt Andersen is currently in the middle of a European tour. Check out the video below to see some of his performance from the Loft in Kinloss Scotland. Matt has also been nominated for a Music New Brunswick award. You can vote for him at http://www.musicnb.org/ . Why not give him a vote and support this wonderful musician. As covered in part 1 there are numerous forms of social media that can be used in a variety of ways. Each has its own strengths and weakness and it is not always necessary to use all forms, rather concentrate on a few that fit you and your situation best. It is important that before you begin you have devised a strategy and outlined what you want to achieve. This can be numerous things. Maybe you want to increase your profile in the local area, or promote upcoming events. Initially focus on one or two of these key goals, making sure not to over complicate your message. List what resources you have to use to aid your promotion. Do you have band artwork, audio tracks, video and an EPK? If you do not have the later this is your fist priority (see our guide). These various mediums can be used to promote your work. After setting out your goals and evaluating your resources you able to review the social media options and choose those that best fit your needs. If you are a beginner it is advisable to begin with Facebook as it allows you to use the most varied amount of promotional materials in the simplest way. Chances are you already have a Facebook account with links to your friends and family. By creating a ‘Like’ page for your music these contacts can help by being advocates for you and your work, spreading the word to their networks. Below is a video that details the advantages of promoting on Facebook and how to go about it. As a musician it is also important you have a Myspace page. Myspace can act as an online EPK. With the number of musicians and music professionals using this site it is a good idea you have at least a basic presence. The key thing to remember when starting to promote your music using social media is to be focused. Start using one or two networking sites and build from there. 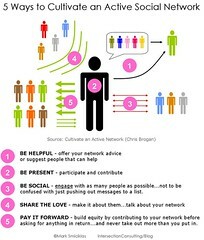 It is better to build and maintain one quality network presence than numerous poorer less maintained ones. As your networks grow it becomes easier to expand into other forms of social media and begin to cross promote with these networks. The 2010 Wreckhouse International Jazz & Blues Festival would not be possible without the support of our corporate and media sponsors. To show our appreciation for their support, Wreckhouse Jazz & Blues (WJB) will be showcasing a different sponsor each week. This week’s sponsor of the week is CBC. 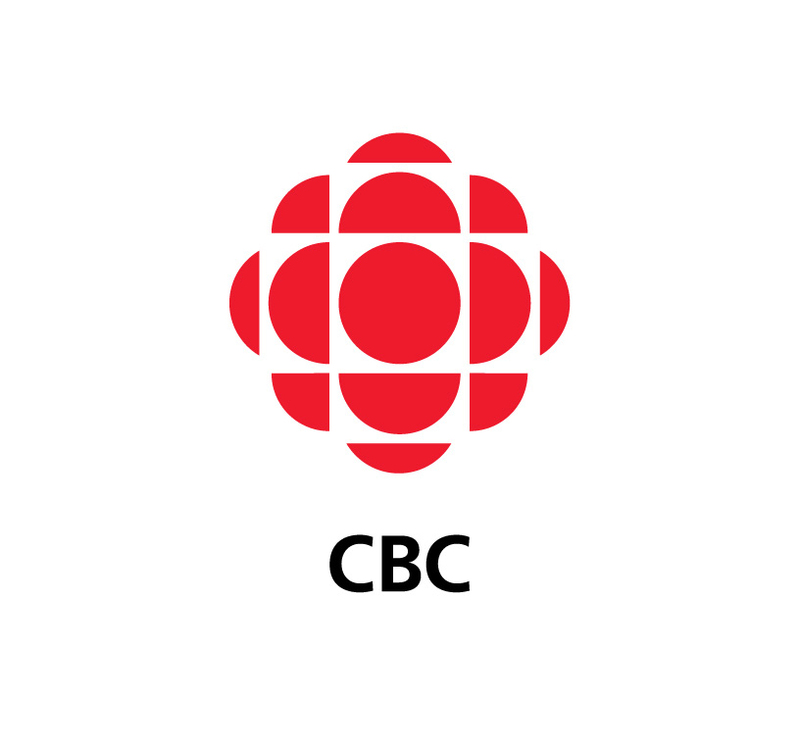 CBC/Radio-Canada is Canada’s national public broadcaster and one of this country’s largest cultural institutions. Through the delivery of a comprehensive range of radio, television, Internet, and satellite-based services, CBC-Radio/Canada is available how, where, and when Canadians want it. As a Media Sponsor, CBC helped promote the artists and events taking place during the 2010 Wreckhouse International Jazz & Blues Festival. Television ads featuring the dates of the Festival and an introduction to the key performers were run on CBC leading up to the 2010 WIJBF. 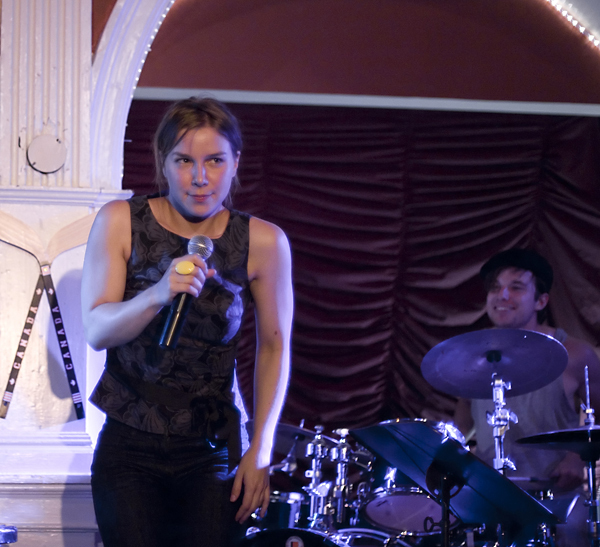 Multiple Festival performers were also featured on CBC Radio in an episode of the Performance Hour, and radio hosts frequently mentioned the events on the air. Several CBC Radio personalities provided hosting services for concerts during the Festival. Promoting the Festival and its performers would be a nearly insurmountable challenge for WJB if it weren’t for the support and generosity of media sponsors like CBC. That’s why WJB is proud to acknowledge CBC as this week’s Sponsor of the Week! Thank you so much for your dedication and commitment to Wreckhouse Jazz & Blues! You are currently browsing the Wreckhouse's Blog blog archives for October, 2010.